Zututh: The First Toothbrush Designed For Dogs: Review And Giveaway! Here's a "group shot" of Zututh's new toothbrushes designed specifically for dogs. We're excited to bring you our perspective on a new line of toothbrushes designed just for dogs, and give you the opportunity to win one! Please see the simple directions at the end of this post to enter. And...Zututh has generously provided a special discount code for our readers for 10% off any final toothbrush purchase, good only until September 15, 2013: bocciscode. We hope you enjoy! Parental Unit freely admits to being a skeptical consumer who tends not to believe the advertising jingles, does her due diligence to research a product and always reads the fine print. She also prefers the plain over the fancy as far as product design is concerned. Because she's always used a "manual" toothbrush for herself, she was more than a bit skeptical when asked to review an electric toothbrush designed just for dogs, by an oral surgeon, no less...until she did a bit of research and actually tried the product. We all know how important proper dental hygiene is for our pets, and many of us have taken to at least fairly regularly brushing our pets' teeth to help slow the buildup of tartar and plaque. But Parental Unit has always used a small-ish, soft-bristled human toothbrush, or the toothbrush that came with the doggy toothpaste, to brush my teeth. After reading the information on Zututh's website and doing some cross-checking research, she now better understands why a toothbrush designed specifically for canines is better able to clean our teeth: dogs have different dental anatomy than humans-duh! Human teeth are arranged in an arch, but dog teeth are arranged in an S or Z shape. Enter the patent-pending canine toothbrush by Zututh, designed to not only fit the shape of our mouths and precious teeth, but to clean the areas that collect plaque the most, the upper back molars, with its longer length and angled head. 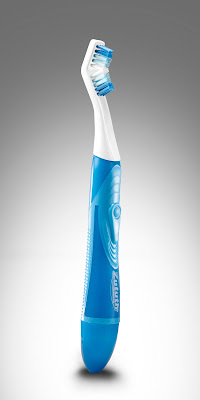 It comes in two varieties: a regular manual toothbrush and the battery-operated, electric, "Zututh Breeze", pictured below. Parental Unit admits to being downright shocked at how comfortable this toothbrush is to hold and use-it has a striated and somewhat larger rubber handle so you humans don't loose your grip, and the angle of the brush head combined with the angle of the bristles does seem to be a superior design for the canine mouth. Here's a close-up of Parental Unit brushing the sides of my mouth (my beard makes a convenient handle). The idea is that because of the moving bristles, angled head and longer length, more teeth are cleaned in one motion, and so it takes less time to thoroughly clean your dog's mouth-which I heartily agree is a good thing! The bottom line is that this toothbrush does not just have a completely different look and feel compared to a toothbrush designed for humans, it works differently, and we think much more effectively, too. Parental Unit says she will never again use a regular toothbrush on me-it's a Zututh Breeze from now on! Both the Zututh manual and battery-operated Breeze eclectic toothbrushes come in sizes small, medium and large, to be selected by your dog's weight. For reference, I weigh 32 pounds and a size medium fits perfectly. And it's economical, too. 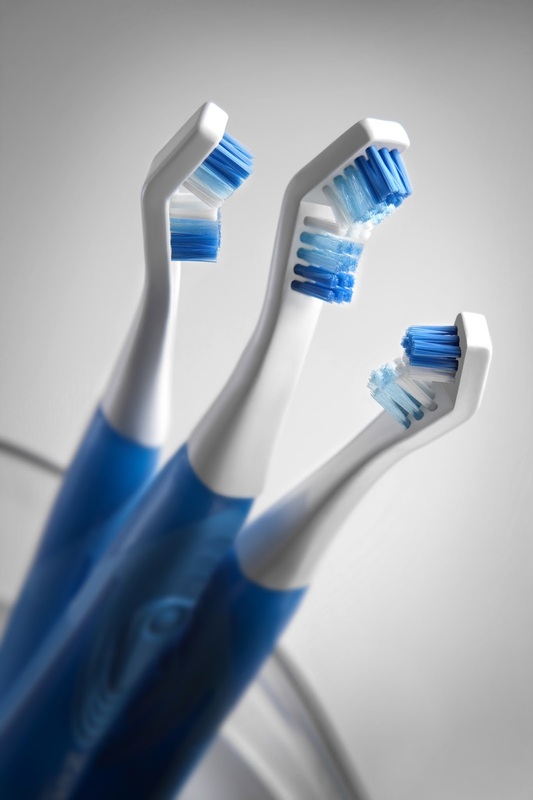 The brush head can be replaced, so there's no need to purchase an entirely new toothbrush when the bristles are worn. Note: We received one Zututh Breeze Electric toothbrush, courtesy of Zututh, in exchange for a truthful product review. Our opinions are 100% our own! One lucky winner (continental U.S. only) will receive either one manual toothbrush or one Zututh Breeze Electric Toothbrush for dogs in the size of your choice! This contest will run from today, Tuesday July 23, 2013 through Tuesday August 6, 2013 at 8:00 EST. Neat! I've seen toothbrushes shaped a bit like this, but this looks more practical. I don't know whether Sage would go for the motor sounds, though. This has potential...I really like that there's different sizes...Gizmo would want a small size please...liked you on FB a while ago and i've tweeted and shared the giveaway on FB Hope we win! They look great. What a cool idea. We can't join in but have a wonderful Wednesday. I like the idea of an electric toothbrush for my doggies! Great idea! I'd like to enter this giveaway. I liked on Facebook (my name there is Linda Szymoniak) and tweeted (my name there is @Urdchan). I'd like to enter this giveaway!!! My old guy can more than use this to keep his choppers clean! Sissy and I would like to enter the giveaway. We liked your page a while ago and also shared your giveaway on twitter. Dakota would LOVE to be entered! and am saying he would LOVE to win! 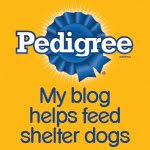 Hi, Just found your blog, love it! 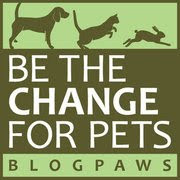 I liked your fb page and so did my Mom, Joy Johnson Schneider and I tweeted your post as well. We brush our teeth nightly and would love to try out this new toothbrush! I like the power in the toothbrush and maybe clean teeth will help the breath, too.